🏀 Happy Thursday! March Madness Round 1 tips off at 12:15 p.m.; productivity plummets. 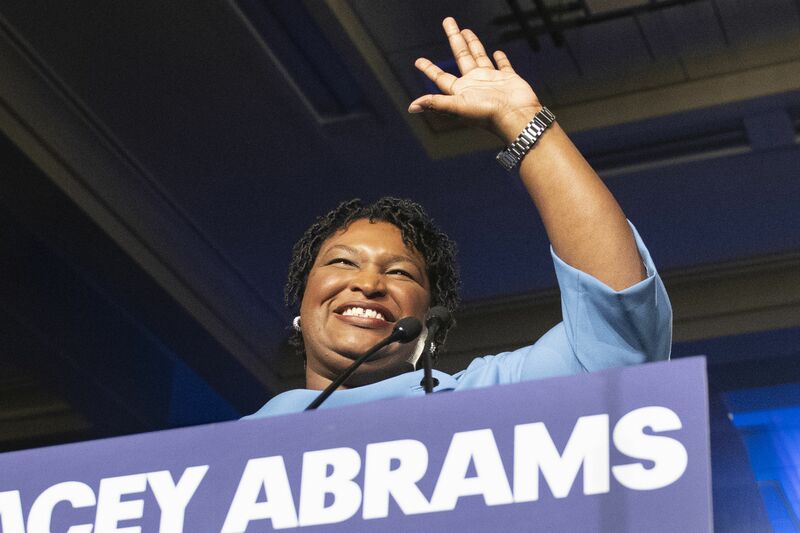 She delivered Democrats' response to President Trump's State of the Union address in January, and has been mentioned as a possible candidate for U.S. Senate. Why it matters: The debate shows some lack of confidence among the Biden team about withstanding attacks for being out of step with the times, and for past positions that are now unpopular in the party. 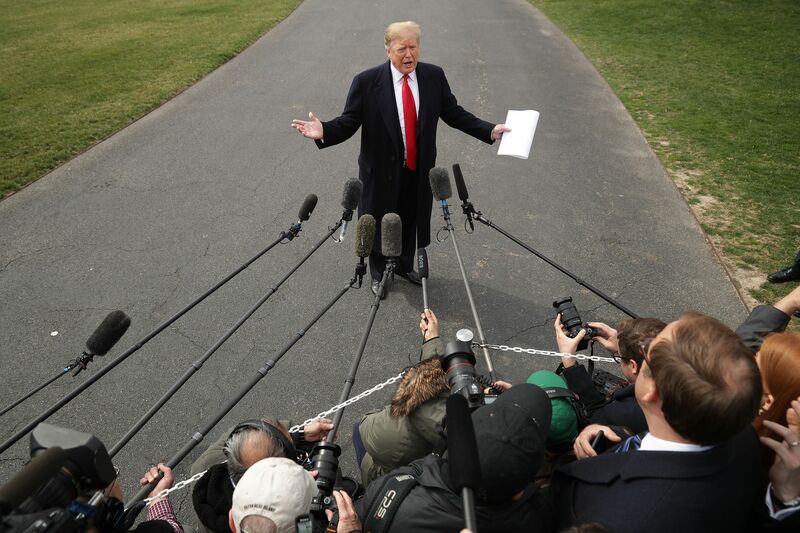 Presidential historian Michael Beschloss, author of "Presidents of War," said that no successful modern non-incumbent presidential candidate has ever announced a V.P. choice long before the primary process. Photo: Collier Schorr for TIME. 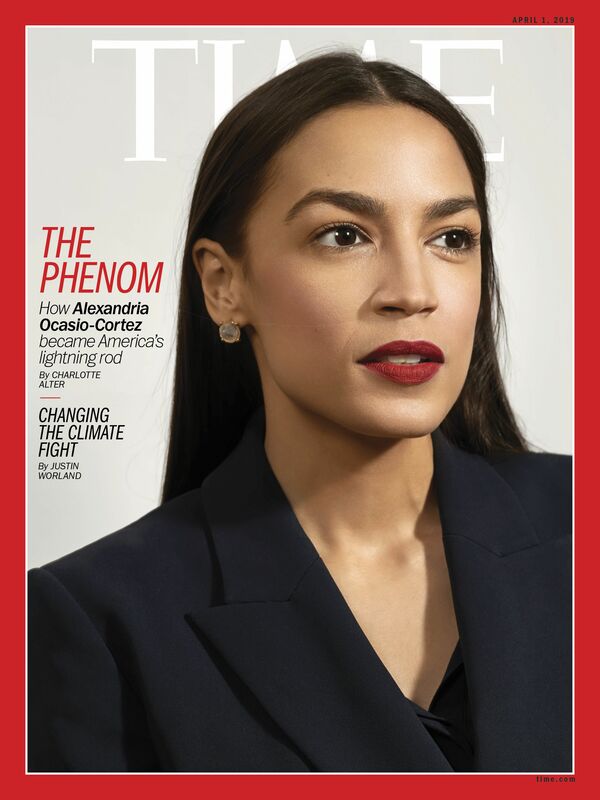 Charlotte Alter writes in the forthcoming issue: "Wonder Woman of the left, Wicked Witch of the right, Ocasio-Cortez has become the second most talked-about politician in America, after the President." Rep. Alexandria Ocasio-Cortez was more recognizable to a focus group of Wisconsin swing voters than every Democratic presidential prospect besides Bernie Sanders, Joe Biden, and Elizabeth Warren, Axios' Alexi McCammond writes. Why it matters: AOC has been in Congress for less than three months, yet she's breaking through even in rural areas of the Midwest. This was a takeaway from an Engagious/FPG focus group of swing voters that McCammond watched last week. The group included eight who voted for President Obama in 2012 and President Trump in 2016, and four who switched from Mitt Romney to Hillary Clinton. The focus group participants were shown photos of each candidate without their name, and asked them to score on a scale of 1 to 10 how confident they were in recognizing that person. Sanders was by far the most recognizable, followed closely by Biden and Warren. Sens. Cory Booker, Amy Klobuchar and Kamala Harris scored at or around 2.5 out of 10. Only three people knew that Harris is a senator. Beto O'Rourke earned a score of 1 out of 10. Somewhat surprisingly, these voters recognized Rep. Tulsi Gabbard of Hawaii more than O'Rourke. Josh Kushner, venture capitalist and younger brother of Jared Kushner, whose boss, President Trump, is being challenged for re-election by O'Rourke. "The Missouri River was forecast to crest [this] morning at 11.6 feet above flood stage in St. Joseph, Missouri, the third highest crest on record," AP reports. 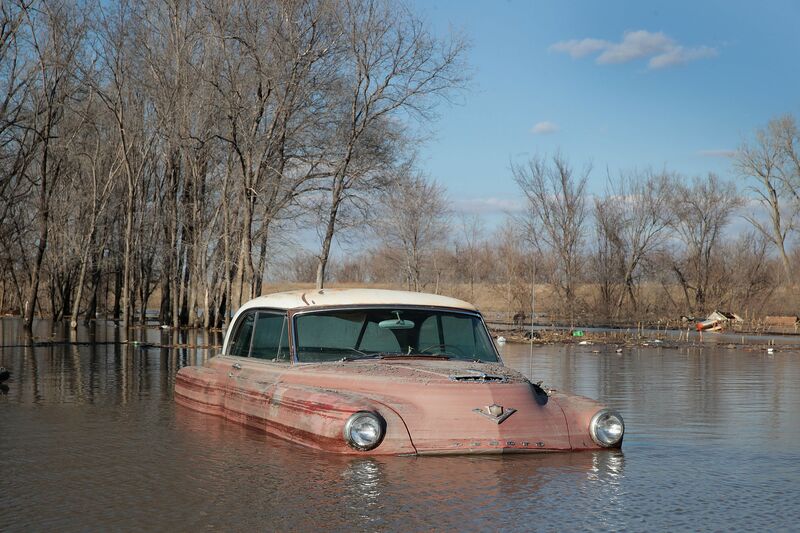 "The flooding is expected to continue throughout the week ... Swollen rivers ... breached more than a dozen levees in Nebraska, Iowa and Missouri." "The water rose so quickly that farmers in many areas had no time to get animals out." The Nebraska Farm Bureau "estimated $400 million of crop losses from fields left unplanted or planted late and up to $500 million in livestock losses." "All you can see is roofs." "[L]et it come out. Let people see it. ... I want to see the report. And you know who will want to see it? 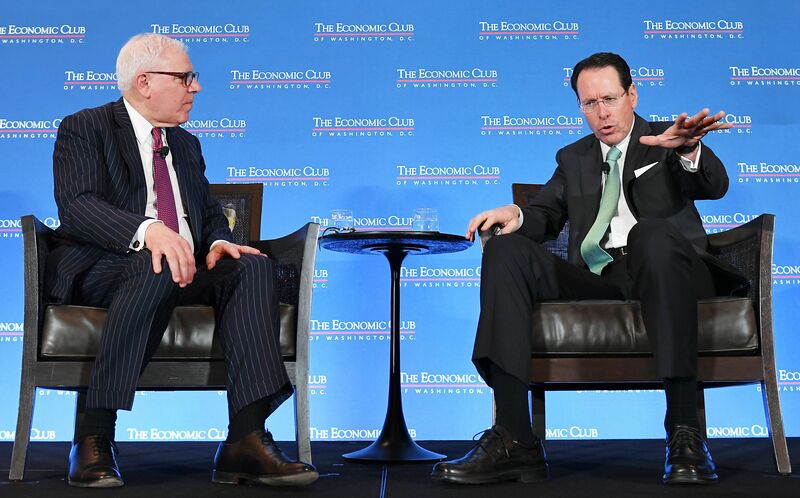 The tens of millions of people that love the fact that we have the greatest economy we’ve ever had." "[L]et’s see whether or not it’s legit. You know better than anybody there’s no collusion. There was no collusion. There was no obstruction. There was no nothing." In the Business Roundtable's Q1 survey of 139 CEOs, 80% said it was "somewhat" or "very" important for Congress to enact a national consumer privacy law. 7. "A world without screens"
We carry around these devices and they're bigger than they should be, because there's a lot of computing in here, there's a lot of storage in here. When you get to 5G, all that computing, all that storage goes away — it's back in the network. These form factors, some would say they shrink. Stephenson recalled a visit from Steve Jobs, before the iPhone's 2007 launch: "We were building a mobile Internet — that's what 3G was about. ... I didn't really know what the mobile Internet looked like. ... Just build it and people will use it — it's always been my philosophy. If you make something mobile, utility explodes." "And the guy in the black turtleneck shows up with a description, an explanation of a product. He didn't have a product, he had an explanation of a product: 'Think about a phone that doesn't have a keypad. It's just a screen, and it has little icons that you push [for] stock quotes, weather.'" "The minute we saw that, it was: That's the mobile internet. That's something we have to be a part of. That is what we are building the future for." 8. 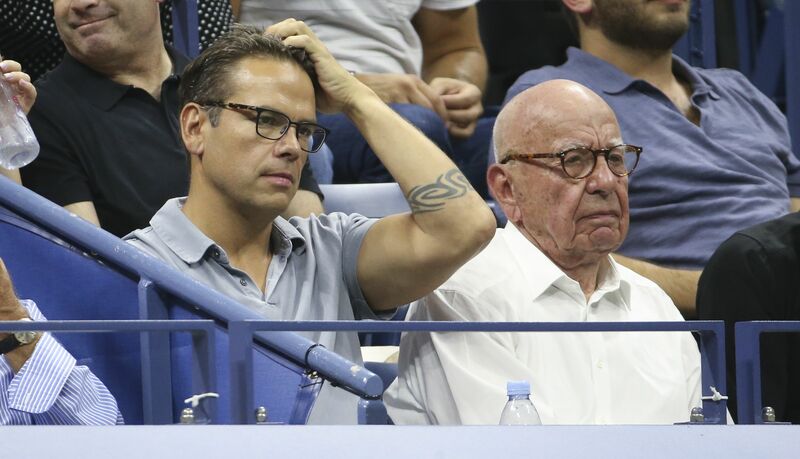 Lachlan Murdoch takes control of Fox Corp.
"Lachlan’s emergence as leader of Fox Corp. following the close of the Murdochs’ $71.3 billion sale of 21st Century Fox to Disney, puts him on new, inherently political terrain that will test his talents as an executive." "[W]hile Trump and Rupert speak regularly, the president has not picked up the phone and dialed Lachlan." "Lachlan is politically conservative and defends Fox News even as his left-leaning brother James privately professes embarrassment about the channel." Drop the 🎤: "When he is in Los Angeles, Lachlan works out of a sunny, spacious office on the first floor of building 88 on the Fox lot in Century City. He arrives for work in a reddish brown Ram 1500 pickup truck with a cab large enough, one 21st Century Fox executive joked, 'to carry all his family's baggage.'" 9. 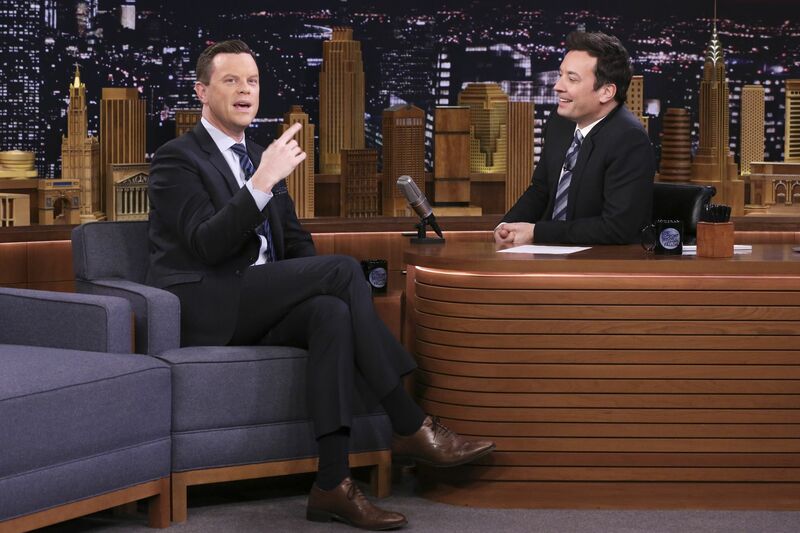 "An add-to-the-plate kind of guy"
"The show is less focused on the Trump-heavy news cycle and instead centers on lengthy sit-downs (eight to nine minutes) with an of-the-moment artist or newsmaker. The conversations typically take place across an hour and are released uncut by NBC News in podcast form." "In TV time, that is just excruciatingly, beautifully long," says Geist in his small office (heavily stocked with Kind energy bars) at 30 Rock. The way to win: "When he landed 'Sunday Today,' he took his wife, Christina, on a ski trip and told her he was being given a new opportunity — on top of everything else he was doing." "I’m an add-to-the-plate kind of guy," Geist says. "I don’t have to choose, and so I won’t until they force me to." Waze, the GPS app, has 30,000 volunteers "who devote nights, weekends and the occasional odd hours to fine-tuning its maps by adding streets and businesses, updating road closures and responding to user requests for map updates and fixes," Paul Berger writes in a Wall Street Journal A-hed (subscription). The app, "which was bought by Alphabet Inc.’s Google in 2013 for just under $1 billion, has attracted volunteers by game-ifying map editing." "The volunteers — whom the company calls 'editors' — accrue points for each map update, rising through the ranks and earning new avatars as they gain the ability to edit wider areas and more important roads." Why it matters: "In an era of the gig economy, Waze has found a better business model — unpaid labor."